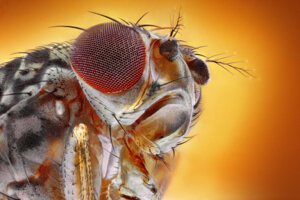 Gene Drives Could Wipe Out Insect-Borne Disease — But What’s the Price? In 2014, a few days after Christmas, Dr. Valentino Gantz walked into his lab at the University of California, San Diego to check on some newly hatched fruit flies. With a single look, he knew he had shattered the laws of evolution. The head and eye of a fruit fly. Gantz bred the larvae — thousands of them — from an albino mother. According to classical rules of inheritance, only one out of four young flies should carry the mutation. Instead, one after another, Gantz saw nothing but pale, albino flies. Locked behind five security doors, sealed in a biosafety containers, was a tool that could forever end insect-borne diseases — and in the process, wipe out entire species, reengineer life and perhaps topple ecosystems. What the team painstakingly discovered was a new incarnation of an old idea: using CRISPR, the gene editing technique, to construct “selfish gene” mutations that insert themselves into the genome and transmit down generations with nearly 100% efficiency. 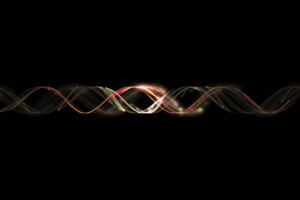 Genes normally go from parent to child like shuffling a deck of cards. Take a physical trait like red eyes in mosquitos. Mosquitos (and humans) carry two copies of almost every gene. Red eyes is a dominant trait in mosquitos, which means it only takes one copy of the red-eye gene for it to appear. A mosquito stands on a leaf. Now, say a mother mosquito has one red-eye and one black-eye gene variant at analogous positions on two separate DNA bundles. The bundle that carries the red-eye gene has a near 50/50 chance of getting passed on to her offspring. Fair and square. Nature, however, evolved a way to cheat the system. A group of selfish genes encode an enzyme that homes in on one of the DNA bundles — the one that doesn’t carry the desired gene variant. There, it makes a cut. This triggers the cell’s DNA repair system, which uses the other DNA bundle — the one with the red-eye gene — as a template to repair the other bundle, effectively copying the red-eye gene. Now, unless it mutates, the red-eye gene has a near 100% chance of getting passed on to baby mosquitos. The result? When released in sufficient quantity, a single inserted gene could spread through an entire population in roughly a dozen generations, or a single season. In 2003, in a seminal paper Dr. Austin Burt laid out the possibility of building artificial gene drives to control the spread of blood-borne diseases like malaria. It’s an intriguing idea: spread a “suicide gene” to wipe out the entire species, or add in disease-resistant genes to entire populations. A big hurdle? Gene drives were tough to make with traditional molecular genetics methods. That is, until CRISPR came along. Easy, cheap and highly effective, CRISPR lets scientists make precise cuts almost anywhere along the genome and works in a large number of species. 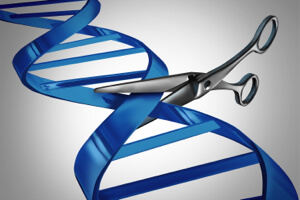 Linked to a gene drive, the cut also defines where artificial selfish genes get copied in. Once they’re in, they spread through natural procreation. Working with Dr. Anthony James, Gantz added a gene that makes malaria antibodies in mama mosquitos whenever they drink. These antibodies tightly grab onto the parasite and stop it from developing any further, preventing its deadly effects. Since the gene adds no benefit to the mosquitos, normally it would get diluted by the gene pool and eventually peter out. With gene drive, however, it gets passed through generations with 99% efficacy. Although the researchers stopped short of confirming that the mosquitos were resistant to malaria, they did show that they expressed the antibody genes. “It’s completely outstanding,” said Dr. Kevin Esvelt, a gene drive researcher at Harvard. Burt agrees, but says long-term studies are needed to see how long the effects can last. Modeling studies show that it takes roughly 20 generations for the new gene to spread wide enough to make a difference. So far we haven’t done cage experiments to assess long-term efficiency and mutation rates, but it’s one of our next steps, Gantz told Singularity Hub. I think far more pressing are larger questions that need to be addressed before we can even contemplate field studies, Gantz said. Now that technology is no longer a limitation, should we — for the greater good — dictate the fate of entire species? Earlier this year, the National Academies of Sciences, Engineering and Medicine hosted a workshop to begin tackling the thorny issue of playing god. For one, the technology isn’t quite there yet. How specific is the gene manipulation? How long can it last? Can we make it somewhat reversible? 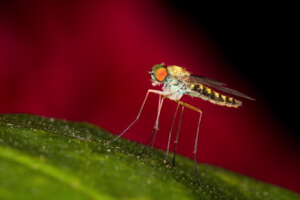 What are the ecological effects of gene drives? “We know so little,” said Dr. Zach Adelman, a molecular geneticist at Virginia Polytechnic Institute. And it’s not just transmissible diseases. In theory, gene drives could give nearly extinct animals an edge up and save them from extinction. Even when the science part gets figured out, should we tamper with Mother Nature? Essentially, we need to balance immediate humanitarian concerns with potential global ecological effects, said Burt. Since animals roam far and wide, unheeding of national boundaries, multiple countries will have to work together to develop regulatory guidelines and establish governing agencies. “We have time to figure it out though,” said Burt. In the meantime, gene drive researchers are taking extra precautions to avoid accidentally contaminating the environment with lab-grown mutants. Our experiments were conducted in high-security labs, explained Gantz. We also worked with tropical mosquitos that can’t survive in the California climate. Even if they somehow got out, they wouldn’t be able to sustain their life cycle or find mates, he said. Yet some experts are still concerned. Dr. George Church, a pioneer in gene drives at Harvard, calls for failsafe mechanisms to stop the gene drive from propagating if anything went wrong. His proposal, though elegant, is not a simple fix. Long story short, it involves adding in another gene drive, a “reversal” one so to speak, to balance out the effects of the first drive. So far, the mechanism was only shown to work in yeast. We need some serious soul searching before we can move on to field applications, said Gantz. With this study, we did go for a slightly less risky route: compared to other gene drive approaches that wipe out entire species, ours — population modification — should in theory have a smaller impact on an ecosystem, explained Gantz. The team — Gantz, James and Bier — believes it’ll take about a year to prepare mosquitoes for field tests. Although eager to test drive population modification, they are going slow and careful.